Burberry has revealed its rebranded logo in collaboration with Peter Saville – the first time the house has changed its logo in almost 20 years. Saville, a legendary British art director and graphic designer, is best known for his radical designs that break the rules, most notably for Joy Division and New Order records. The new look features the interlocking initials of the label’s founder, Thomas Burberry. 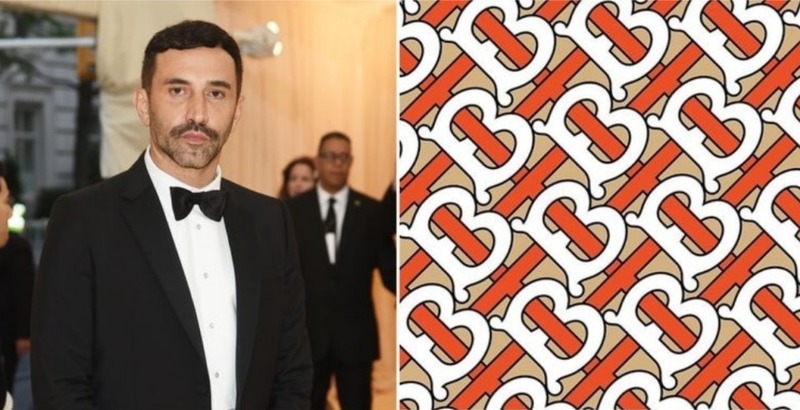 It’s inspired by Tisci’s visit to the fashion house’s archive, in particular “a logo from 1908 and a Thomas Burberry monogram”, according to Business of Fashion. The new logo, which will be used both on its own and as a repetitive print, was first released on Tisci’s Instagram today (2 August). The last time that Burberry changed its logo was in 1999 when the brand dropped the “S” from its name, designed by Fabien Baron. The change marks five months after Tisci joined Burberry, when he succeeded Christopher Bailey. This point signals an exciting time for the luxury label, including a Burberry and Vivienne Westwood collaboration on a limited-edition collection at the end of this year. Tisci will show his first full Burberry collection in London this September. The all-new Burberry will be unveiled on Monday 17 September. Escape the ordinary and experience some Nordic luxury by staying in a former Helsinkian prison.